At the request of wearethelastbeatniks supporter, Phil Thatcher, here’s this infamous compilation, curated by Nicholas Heath and Off The Hip Records released on 2007 , a sort of a mindfuck for me that knew upped the ante as far as Australia´s undergrond bands concerned, and exposed me to garage psych vibes of some amazing outfits that were previously unknown to me. Two expansive, mind-expanding discs of drone and jangle, done psychedelic-style and a 27-track showcase of the stuff living in the corners and crevices of the trippy end of Australia’s underground rock scene. Full marks to compiler Nicholas D. Heath and label Off The Hip. If you’re hip to the groove, get out and support them because putting this out is a bold step. Why? There’s minimal chance of anything from this set getting an airing on radio that isn’t prefixed by the epithet “public broadcasting”. The medium simply isn’t adventurous enough to play anything that isn’t a major label platter. Live with it. Word-of-mouth and the Net are the tools of trade that will spread the word. Plus most of these bands play out live, with varying degrees of frequency. Do your part and support both channels. “Burn Your Fingers…” could have been sub-titled “The Art Of The Drone” as that’s the prevailing if not solitary weapon at these bands’ disposal. You won’t hear many better exponents than openers The Black Ryder whose pulsing “Let It Go” is an ethereal gem. I know nothing of The Years but they’re ploughing that same field and they follow immediately after. 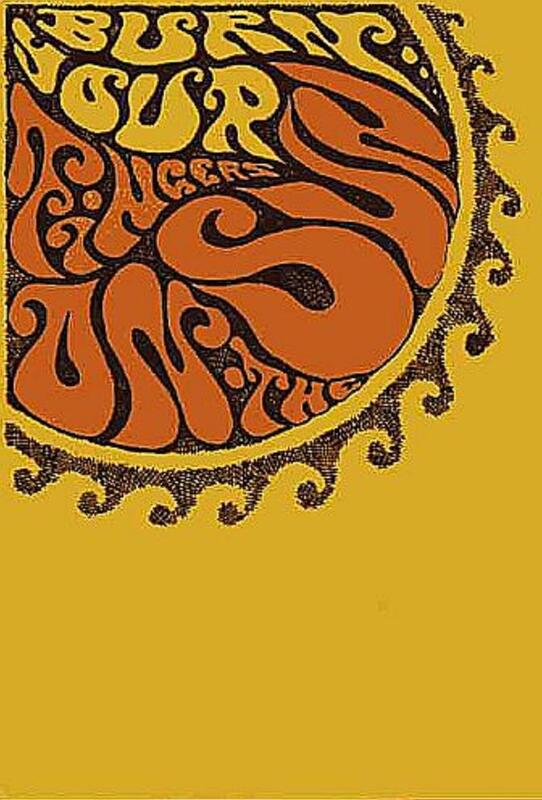 Broadly speaking, you can divide the bands into three categories: the Droners (Blue Sunshine Minds), the Folk-Psych-Rockers (The Dolly Rocker Movement – although their palette isn’t limited to that) and the Garage Brigade (3D TV). Then something exotic-sounding like Richard In Your Mind’s spacey “13 Stingrays” flashes into the soundscape and shakes up the senses. There’s a strong Sydney streak with The Dolly Rocker Movement leading the pack but a sprinkling of strong interstaters also get a look-in. The Green Circles (Adelaide) and Sand Pebbles (Melbourne) are most familiar to me. Wollongong’s The Unheard (pull your fingers out boys and get that compilation happening) and Blue Mountains band Belles Will Ring clean up on the fringes of Sydney. The Unheard’s “One Day” is the stand-out fuzz attack of both discs, a sonic stalker among the jangle and going gently into the night. You know the antecedents for most of these bands so there’s no point delving into those. The point to make is that modern and more accessible recording techniques make experimentation a byword rather than a luxury (that used to be limited to B sides back in the ’60s) and many of the bands make the most of that. A few more liner notes wouldn’t have gone astray but hey, you do know Google, don’t you? Compiler Mr Heath esq. covers off the mood and raison d’etre of this music more than adequately. That he’s missed a couple along trhe way (The Intercontinental Playboys from Sydney and Geelong’s The Frowning Clouds) could be an accident of time as much as personal taste. I’m leaning towards Disc One as my personal cream of the crop but it’s a near run thing. If you have an open ear you won’t find anything to disappoint. Some of the sounds blur into each other at times, but on the other hand if you’re the sort of listener that requires an album to demand something of yourself you can just as easily slip into that mode. Drop out, dose up, dudes. “Follow The Sound” and “For Those Teary Eyes” taken from the album “Purple Journey Thru The Mod Machine” out through Off The Hip records. “A Thousand Flowers” taken from the album “Atlantis Regrets Nothing” out through Low Transit Industries. “Given Time” taken from the album “Brass Knobs Bevelled Edges” out through Off The Hip records.